HYDE PARK — The Hyde Park Planning and Zoning Commission completed a new draft of the controversial animal ordinance last week to eliminate “ridiculous” provisions that packed protesters into a City Council meeting in August. Hyde Park animal owners can keep their livestock. 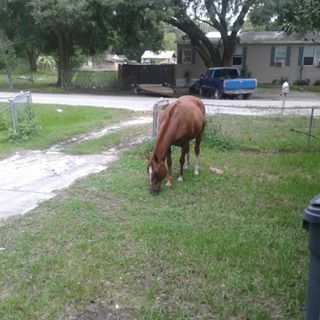 Three particular amendments to the ordinance fueled the anger and worry among Hyde Park citizens, commissioner Mark Hurd said: Roosters and pigs were banned, and minimum half-acre lots were required for horses. The ban against roosters and pigs will be lifted in the updated ordinance, and the size limit for small animals will be raised from 100 to 250 pounds. Horses will be permitted on half-acre lots, and a 75-foot setback requirement between houses and barns will be lifted. The revision process was an education for citizens and officials alike, said P&Z alternate Melinda Lee. The new ordinance not only repeals the previous amendments, but fixes the “ridiculous” setbacks that were included in the original, she said. Lee said the problem-solving at meetings was an opportunity to bring citizens together, and the commission is grateful for their input. “It was a great time to educate our people,” she said. “We were able to learn about our city together.” Many residents signed up to receive automatic email notifications and updates linked to the city’s web site, Lee said. The updated animal ordinance now goes back to the City Council, and a public meeting on the issue will be held in January. Copyright © 2010 Hard News Cafe. All rights reserved.